The wastewater microorganisms are separated from the clean wastewater in the final settling tanks. Final effluent is discharged via gravity flow to the Cayadutta Creek after final settling. 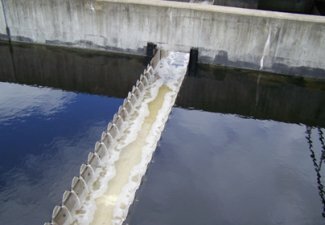 Continuous sampling of the final effluent occurs for daily monitoring of water quality prior to discharge. All laboratory data is reported to the NYS Department of Environmental Conservation on a monthly basis. 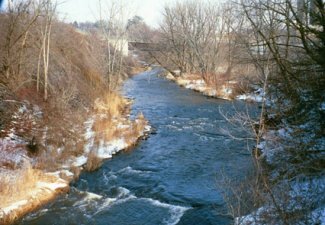 Copyright Gloversville - Johnstown Joint Wastewater Treatment Facilities. All rights reserved. This web site was designed by Empire Web Pages. This page was most recently updated on February 17, 2016.